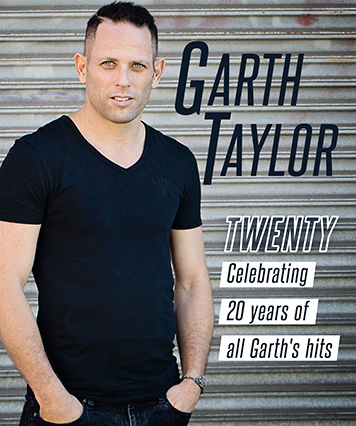 At 7 years’ old, Garth Taylor was given his first guitar. He picked it up and taught himself how to play. At 9, his mom taught him his first chords on the piano. Since then, he has continued to cultivate his raw talent and love of music. Coming from a long line of musical people, Garth wasn’t interested in the confines of what constituted the ‘normal’ rules of learning. He taught himself how to play by touch, by emotion, by what felt right. Garth didn’t come from privilege and had a start in life that would have broken many. Garth spent the first few years of his life in and out of orphanages and places of safety. His guitar, a pen and paper were the only constants during his turbulent, young life and he used his experiences to become an observer of humanity. “As a songwriter, I draw my inspiration from everyday people. Humanity is what inspires me, the trials and tribulations of real life and the triumph of the human spirit – that’s what I write songs about,” says Garth. Garth began touring Zimbabwe and South Africa’s local cover-band circuit in his late teens, slowly perfecting his trade. Thanks to a shoddy memory, Garth would often make up his own words to the songs he was covering. “The audience didn’t often appreciate me adding in words to their favourite songs, but it made me realise that I could write pretty good lyrics,” he says. He tried his hand at song writing and wrote his very first smash-hit, Why in 1996. It was released in 1998 and topped the charts for five consecutive weeks – and the rest, as they say, is history. His career has spanned nearly 20 years – he has been nominated for a SAMA Award, shared stages with local and international superstars such as Simply Red, Shaggy, Jonathan Butler, the late Brenda Fassie and Lebo Mathosa to name a few. His exceptional talent has made him one of South Africa’s most prominent artists. He is a multi-talented, self taught artist who plays a selection of instruments including bass and saxophone. He has expanded his creativity further into production, engineering and mixing. His string of smash hits over the years have included Only With You, Home Again, If I Gave You My Soul, Islands in the Stream and his most recent singles from his fourthstudio album, Made, include Try, If I Don’t Call, Give Me Your Love and Stronger. Yet the biggest highlight of his career, was performing for orphaned children during a Christmas Charity drive. “My life has come full circle. I used to be the orphan dreaming of being a pop-star and having my photo taken with a famous musician. I then got to become a musician who brought joy and laughter to orphans and have them look at me with the same hopes and dreams I had had as a child.” Despite his success, Garth has remained humble at heart and continues to raise awareness and funds for various foundations that support cancer awareness and protecting abused woman and children. His undeniable stage presence gives audiences an unforgettable experience with every performance. This multi-talented, self-taught singer/songwriter is the epitome of a soul with flawless talent. From humble beginnings to bright lights, Garth has made a life of making music and delivering his art with a passion and skill that is unparalleled in the South African music industry.